I have finally been given a start date for my new job! I was told I had got the job almost a month ago (a month ago this Friday actually) but because of the bank holidays and then a not so nice ex manager there have been a lot of delays. I have another two full weeks off before I start so I have a bit of time to think about what I'm going to wear. In two previous jobs I've had quite relaxed rules on what I could wear to work, anything was ok apart from jeans and t shirts with slogans on. In another job I was given a suit to wear so I didn't ever have to think about what to put on in the morning (FYI, I hated wearing a suit). This time around I want to look presentable and lady like so I seem to be heading towards wearing dresses to work which is something I only used to do in the winter when I could wear knitted dresses and boots to work. 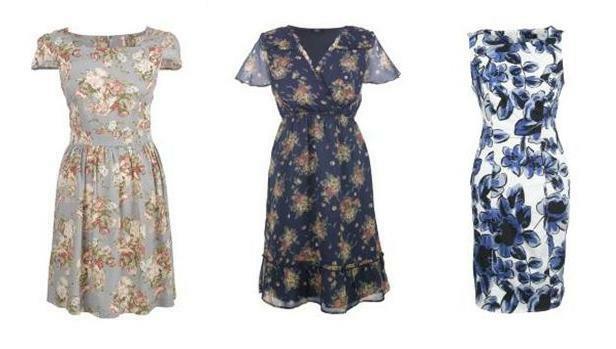 Having been online window shopping I've spotted quite a lot of dresses I like, all of the ones I'm posting today are from Tesco and are available online. It amazes me that most of the dresses are under £20, I already own a shift dress from Tesco - which I wore to the job interview that got me my new job - and the quality is great. 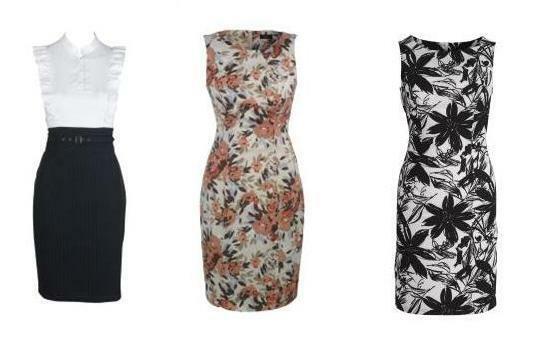 My absolute favourite of all the above dresses is the bottom middle dress, it screams summer at me. At least two of the others I have a feeling are a bit too old for me and if I try them on I may not like them as much, it's kind of how I feel about Phase Eight, it's a shop I love but at 25 I feel too young for their clothes. I wonder how long I'll last before caving and I start wearing trousers and ballet pumps to work? It's funny that you should mention Peacocks, I was browsing their website last night and had £85 worth of dresses in my basket! I can dream I suppose.